Somewhat Quirky: ooo! ooo! ooo! I'm a little excited this morning. Today is my first guest post! I'm guest posting over at Cups By Kim so click on over! 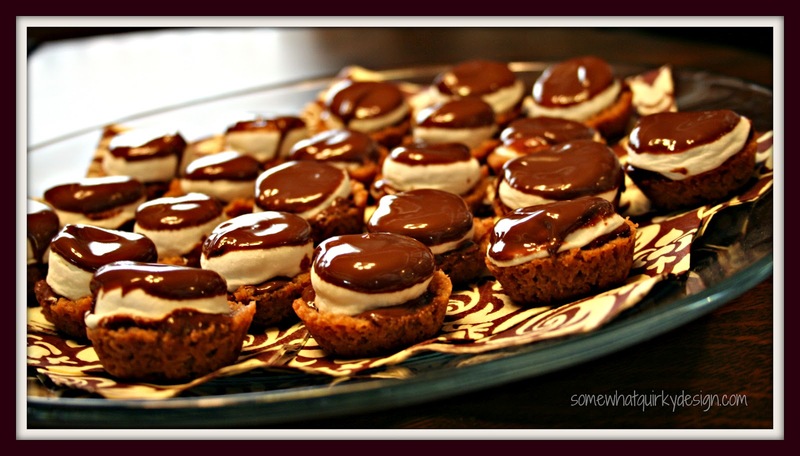 If your looking for a recipe for your Mother's Day cookout, a graduation party, Memorial Day weekend, or anytime really, check out my recipe for S'mores Cups over at Cups By Kim. I also snuck in my famous Looks Gross But Please Try It I Know You'll Like It Dip (also known as Blackeye Pea Dip). I know you won't want to miss that! Really. You won't. Want. To miss. That. Oh yea, there's picture of me eating my first birthday cake! You can see where my enchantment with cake began. Then be sure to check out some of Kim's cupcake recipes. Like Pink Champagne Cupcakes with Raspberry Buttercream and Lemon Olive Oil Cupcakes with Goat Cheese Frosting. Then leave her a little note to let her know you like her! Now that I'm famous I'm sure you ALL will want me to guest post on your blog. Stay calm and patient. There's enough of me for everyone!. My goodness this post has a lot of exclamation marks!!!!! On my way to check it out. Really? Goat cheese frosting? Sounds very interesting. Thanks a lot for blowing my diet today~~~LOL!!! My boys would love these! Thanx for sharing at THT!